Bavent Street Live, promoters of The Burna Boy Concert Show, set to hold on the 17th Dec. 2017 at the Balmoral Convention centre wish to tell all fans and lovers of the artiste Burna Boy & our corporate partners & sponsors of a move in the date of the above organized concert. This is simply to the fact of the latest allegations directed against Burna Boy, which are as of now, baseless & are yet to be certify. Burna Boy and his management are working deligently within the range and requirements of the law to clear his name in these investigations. 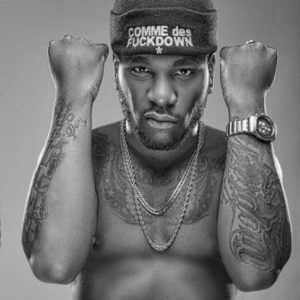 Burna Boy needs time to come back and promises a spectacular performance for his fans. Presently, he needs the time and space to tackle these allegations, which have surfaced at such an important & sensitive time when he’s working on his album and his concert. We request that we respect the time he needs during this trying time. The new date for The Burna Boy Show will be announced in the near future, (all tickets bought will remain valid, and moreso you have the chance to receive your full refund from the ticketing partners immediately).